Mars will Transit the sign Taurus on the 22nd March 2019 at 15.05 hrs and will stay in this sign till 7th May 06-53 hrs. Mars will be in the Rohini Nakshatra from the 7th April to 26th April 2019 this time frame seems to be most Venomous and enigmatic. It has been observed in the past that when ever Malefics Saturn, Rahu, Ketu or Mars Transits over the sign Taurus and specially in the Nakshatra of Rohini its time for Disaster. The Cycle of Rahu is also getting completed of 18 years from the 11th Sept. 2001 9/11 when Terrorist Attack took place on America-World Trade Centre when Rahu, Jupiter Moon were in Gemini and Mars, Ketu in Sagitarius. 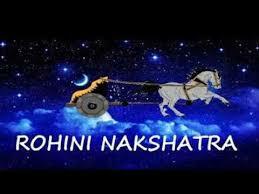 Saturn was in Rohini Nakshatra at 20.52 Degrees. From the Past we have seen the following happenings when Mars was in the sign Taurus. During the final stage of World War II, the United States detonated two nuclear weapons over the Japanese cities of Hiroshima and Nagasaki on August 6 and 9, 1945, respectively. The United States dropped the bombs after obtaining the consent of the United Kingdom, as required by the Quebec Agreement. The two bombings killed 129,000–226,000 people, most of whom were civilians. They remain the only use of nuclear weapons in the history of armed conflict. Mars at 16.22 degrees in Rohini nakshatra and aspects Ketu at 15.48 degrees in Fiery sign Sagitarius in Poorva Shadha Nakshatra by strong 8th aspect. Gemini has Venus, Rahu, Saturn and Moon and these Planets are in Paap Kartari yoga. After 7th April 2019 till 26th April 2019 there will be similiar Combinations specially on the 25th April 2019 as discussed Below. This Transit can be the most Venomous one.The Unfortunate part is it is during the Election Time of the Lok Sabha 2019. The Planetary Positions around the Election Time calculated as per Astrology will be most Venomous after 7th-9th April 2019. 10th April 2019 could be Venomous since Jupiter will be Stationary and Turning Retrograde and in Gandantha in the Fiery sign with Saturn and Ketu. 3. Gulf War On the 21st Jan. 1991 Mars in the Sign Taurus and Saturn,Sun, Venus, Rahu in Capricorn. 4. Coup In Bangladesh on the 15th August 1975 Mars Conjunct Ketu in sign Taurus. 7. Oath Chart of Chandrashekhar 10th Nov. 1990 Saturn in Sagitarius and Mars Retrograde in Taurus Mars 17.52 degres in Rohini nakshatra and Saturn 26 degrees in Sagitarius receiving the 8th aspect of Mars. The Chart is showing crystal clear of the happening. Saturn in the sign Taurus in Rohini Nakshatra at 20.53 degrees and Mars and Ketu in the sign Sagitarius and Jupiter, Rahun and Moon in Gemini, see the degrees of Ketu and Mars very close and in the same navamsha. The Inauspicious yoga of Mars, Ketu with Saturn. the idea of putting this chart is there are similiar planetary combinations in the Months of April 2019 as mentioned above from the 7th April to 26th April 2019. The following parameters are acquiring a special dimension. 1. Saturn Stationary at 26.22 degrees in Sagitarius with Ketu degree-Conjunct Most malefic parameter. 3. Mars in Rohini Nakshatra inTaurus and at 22.28 degrees where Saturn was 20.52 when 9/11 took place . The above combination start from the 9th April to 26th April and can prove most Venomous it so seems. Not only for US but other Countries also where Mars will Transit in Taurus in the Ascendant, Kendra 4/10 axis 6th, 8th or the 12th house of the Foundation chart of the Country. The Countries Prone to this Transit will be US, India, Pakistan,Japan,China,Dubai,Indonesia,Iraq,Paris, Malasyia,Sri Lanka, North Korea so many Countries and there the Eclipses are also taking place and Sub Dasha of a Planet Like Rahu who has the capacity to bring a Down fall for the Country. US is Most Prone to this Combination. For India the Mars in the Lagna and the Saturn, Ketu and Jupiter in the 8th house seems to be most Venomous for the Country, since the Dasha of Moon-Jupiter is in operation and Jupiter is also the Lord of the 8th and the 11th house and in Transit it will be in most afflicted condition. Now see the chart of US foundation chart of 4th July 1776 10-20-30 hrs. Compare the Planets at the time of 9/11 and the planets at the time of 25th April 2019 with Chart of US Foundation chart. The Country is under the Dasha of Rahu-Rahu since Nov. 2018 and Rahu is placed in the 12th house of loses with 2nd and 11th Lord Mercury. After 23rd March 2019 Rahu Transit over the 4 planets in the sign Gemini and specially over the natal Jupiter and the Eclipses in the 1/7 axis of Sagitarius sign may prove most crucial for the Country. Stationary Saturn at 26 degrees in the 5th house and the 8th from the 10th house will aspect the Natal Saturn in almost same degrees from the 25th to 5th May 2019 , this may also be crucial for the Country . When the Transit Mars changes sign on the 7th May 2019 to Gemini over the natal Mars degree-wise it could the time of disaster and then Rahu Transits over the sign Gemini on the 23rd March and Jupiter changes sign to Sagitarius on the 29th March 2019 . Affliction to Jupiter when it Falls back in Scorpio on the 23rd April will further add fuel to the fire. About the Eclipses in the Later half of the year 2019 I will write again. Since in the foundation chart of India Taurus sign is rising hence Mars Transit over the natal Rahu will also be instumental to bring adversity in the Country specially when Mars Transit at 6-7 degrees in Taurus from the 1st April to 9th April 2019. Finally Mars will change sign on the 7th May 2019. The Period after this Transit still maybe more Venomous since Marswilljoin Rahu and Ketu will be with Saturn , these 4 Malefics samsaptak will be the worst Transit in 2019, since Rahu and Ketu will be in their own Nakshatra also In the Dec. 2019 Eclipse . The Dates 14-17th June, 17th July 2019 are also most Venomous in this Respect. Amritsar’s Jallianwala Bagh was a desolate piece of land partly used for dumping garbage until British General Reginald Dyer oversaw the massacre of several hundred unarmed people gathered there on April 13, 1919, to protest against a draconian law that allowed internments without trial. Rohini Nakshatra affliction is really Brutal . In the above chart it is crystal clear . The Mars and Saturn connection at the time of 100 years back and even now . Lets see what this Transit Brings forth till 27th April 2019. God Bless us all.